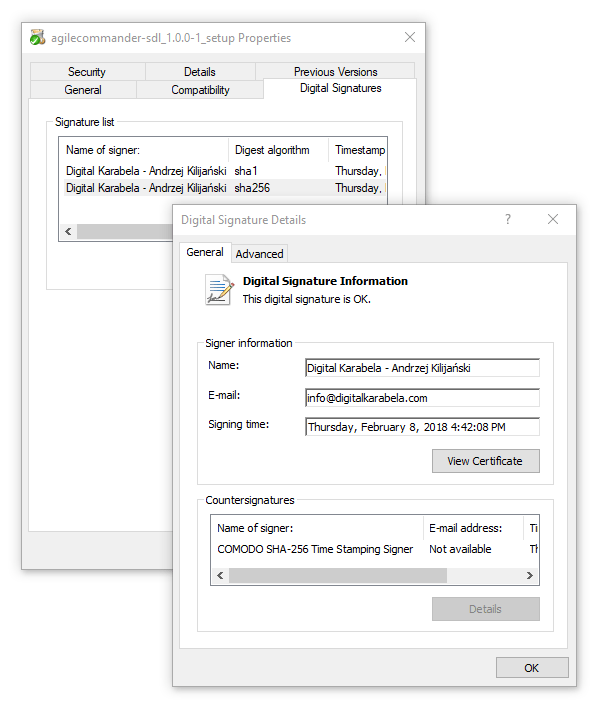 From February 8, the Agile Commander installer and executable file is digitally signed. The digital signature allows you to confirm the integrity of the file and the identity of the signer. The Agile Commander installer and the executable file should be signed on the Digital Karabela – Andrzej Kilijański. 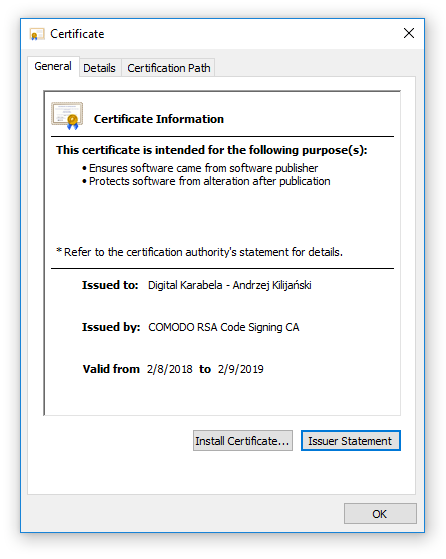 The certificate was issued by COMODO RSA Code Signing CA. You can check the signature by right-clicking on the file and then Properties in the shortcut menu. In the Properties window, select the Digital signatures tab.